Is dental cleaning for cats and dogs necessary, safe, dangerous? Humans are not the only ones who need to take care of their teeth, your pet cat or pet dog also need regular dental care to make sure that they are able to eat well into old age. As with people and just as a general rule of thumb preventative care is much cheaper than having to have teeth pulled or a big procedure done. One of the most common and best ways to have preventative care for your dog or cat is regular teeth cleaning. With all the modern technology many vets are using Ultrasonic teeth cleaning for both cats and dogs and it is proving to be the best way to go about these cleanings. Most (of not all) vets will put your pet under for a dental cleaning to make sure that they do not stress and so that the pet and the vet does not get harmed. The process from there is not unlike how dental cleaning goes for humans. To remove the plaque and tartar build up on your pets teeth that can cause periodontal disease you need to see a professional, simply brushing their teeth regularly is not enough. 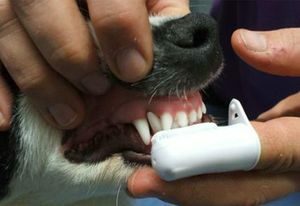 Deposits can be fully and easily removed by using an ultrasonic device well as a hand scaler depending how bad the deposits on the teeth are and the state of your pet’s gums. Once the initial deposits are removed your dentist or hygienist will polish the teeth to get anything that might have been left behind. This polishing will also leave the surface of your teeth smoother and therefore easier to keep free of more plaque and tartar deposits. Once this polishing is done your pets mouth is rinsed to remove any leftover debris before the dentist /vet looks over your mouth one more time. Some will apply a coating that may help with the buildup issues if needed and you will also be given a list of recommendations for daily home oral hygiene tips. It is likely that a follow up check up will also be suggested. Make sure that you follow the directions that the vet gives you for the after care of your pet, especially if they might have a reaction to the sedative that is used; it can happen in rare cases. There are a few non-sedative based cleaning procedures out there but they are not generally recommended by the veterinary association and can be less effective.